Healthy, strong relationships are the best, right? Here's what my clients say. 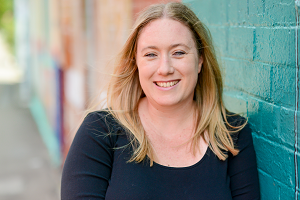 Heather is a skilled copywriter who is nimble, adaptable and willing to work closely with her clients to ensure the best results for the project. Her processes make the client feel secure in every stage of the project and her clear communication ensures the project runs smoothly. There's professionalism and passion the moment you talk to Heather. She provided excellent ideas and the job performed in a timely manner. Heather did a fantastic job and understood my audience to convey exactly what I needed to say. A wonderful experience, will definitely work with her again. It's been a pleasure to work with Heather. She showed a professional interest in our project and took ownership of the task. The process was straightforward, comfortable and on time. Great support for busy business people. Getting someone who can string a sentence together is one thing - finding a writer who understands the strategic goals behind a piece is another. Heather is an asset to any writing project, especially long-form article and blogs, and projects that require technical knowledge. Please don't hire her - I don't want her to get too busy. Heather is able to interpret complex briefs that require a balance of brand, and service offering. She creates a tone of voice that communicates the messaging effectively and enhances the brand personality. Heather delivered on all requests accurately and on time. She is a pleasure to work with and takes direction well. She understands good SEO practice which she demonstrated in headline creation and keyword tagging. I would not hesitate to recommend her for future creative writing or data production projects. Heather you're a gem! You came on board helping us on our mission to get out service out there and with our website copy. You really took the time to understand what we were doing. Thank you so, so much!